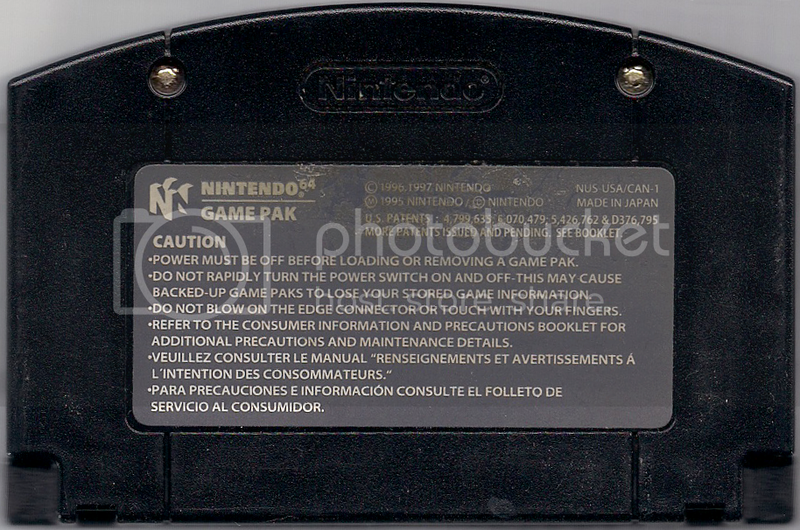 Lost Levels :: View topic - Were WWF No Mercy 1.1 (NTSC) carts actually issued? Lost Levels - A website about unreleased video games. 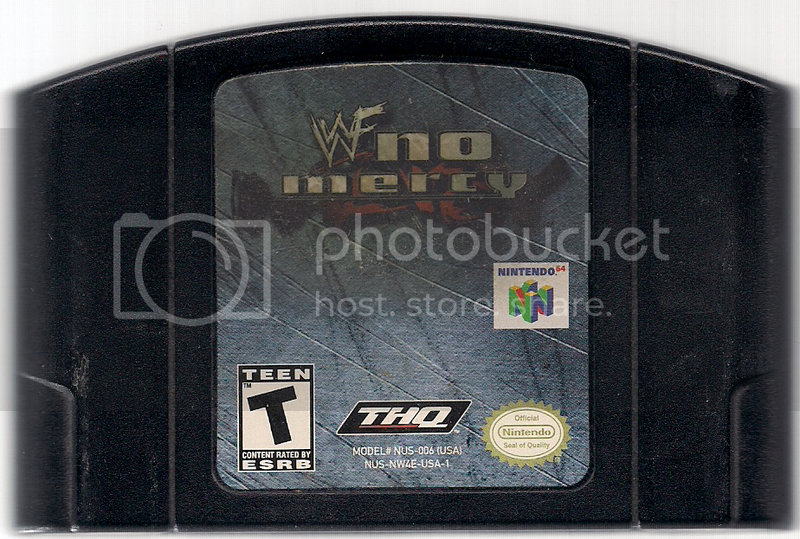 Were WWF No Mercy 1.1 (NTSC) carts actually issued? Posted: Tue Mar 06, 2012 1:55 am�� �Post subject: Were WWF No Mercy 1.1 (NTSC) carts actually issued? As is common knowledge, many copies of WWF No Mercy for N64 have a fatal recurring save deletion glitch. All save data stored on the cartridge forever vanishing in an unpredictable instant. Gone. End of story. Not something any serious gamer who's played the game extensively would just forget. Years experiencing repeated total loss of unlockables, created wrestlers, etc. So I'm wondering if the rumored fixed NTSC cartridges were in fact created. I haven't found many leads except this article from 2000. My copy is the revised 1.1 version so I can vouch for their existence. I contacted THQ way back when and they exchanged it for a fixed version. In that case perhaps dumping the cart's rom may tell us more? No one's conclusively verified the technical reason this glitch happens. Actually, if I could get ahold of both versions I could work out where the glitch lies. Might even be patchable with codes. Strangely many 1.1 NTSC versions were never dumped. It wasn't until a couple years ago that the v1.1 Ogre64 saw light, and that had, besides some silly glitches and japanese, a persistant inventory incrementation bug that would (without user management) eventually crash the game. Totally exploitable too, concidering you could allow it to increment through the item list to gain rare/expensive/unique stuff. Filelist clocks in just short of 19500 entries. Strangely, a lot of hackers patch against v1.0s even when later ones are available. It doesn't make a whole lot of sense honestly. Worst case was the run of people patching against Perfect Dark v1.0 with the murderous save file bug. Aegh! That's good to hear. Photos of 1.1 would go a long way. Especially the PCB for any internal difference. There wouldn't be an internal difference. N64 carts are very standardized. Comparing ROM images (aka dumps) would reveal whatever fixes occured. A patch could also be made by examining the fix in a different region and porting it, but a direct correspondance is much easier to deal with instead of trying to account for differently mapped addressing and whatnot. There were a couple titles from that span of time with murderous save issues. Must have been a problem with a subversion of the standard libraries. I meant things like serial numbers on the ROM chips that may stand out as clear 1.1 identifiers. Still don't get ahead of yourself spoondiddly. I haven't yet been provided with entire proof it exists. User reports and comments yes, including in this topic. But nothing that jumps out proudly shouting and waving flags "I am a WWF No Mercy 1.1 NTSC cartridge!!." Not all will follow the cart label standard (very few exceptions though) but all internal headers will. Yeah we might be getting somewhere. I've just now dug up info on a potential ROM revision! CRC differences don't tell me much, since I'm not technically inclined. It's been named "Rev A" by the dumping scene and can be found on ROM sites. I'm not sure whether this one is legit or fixes the save glitch. Or in the event it's legit, reached cart format. Legit could mean leaked proto/beta from another source. Possibly even a third version that's in addition to what Nosuch mentioned? I wouldn't rule out the full story here ending up weirder than fiction. If they follow convention Rev A would be v1.1. Prototypes are always clearly marked proto and demo carts the same. It only gets really complicated with Turok II, with multiple prototype and demo versions of questionable age. Seriously, proto and demo Turok II carts are probably more common than retail. On a cursory glance memory has been shifted around a bit. It's mostly in the setup right after the bootstrap. I'll really take a good poke at it though and see what's up. On a slightly less cursory glance there are similiar bug fixes in there as between PAL. A few function differences and removing reliances on tables. That frees up quite a bit of memory and it looks like they used it for a larger mempak buffer (among other things). Any new info found? Whatever you guys can tell me about identifying it would be welcome. That's going to be key to setting in stone the answer of this topic's question. Rather not have to pick up stacks of the game, then play each one long enough to see whether saved data vanishes. I'd go buy a PAL N64 and its easy to tell apart PAL 1.1 before wasting resources that way. I haven't looked at the files personally, but it's very likely the Rev A version you linked to is the fixed copy. If you have any doubts, someone at the No-Intro forums might be able to tell you where that dump came from. Sounds good. At this point if I did identify and track down a fixed cart, it might still lose data. We haven't actually verified the primary bug was squashed. I dunno, I'm pretty confident that they did squash it. Like I said above, I've had a fixed copy since back when the game was current and the bug hasn't reared its ugly head even once. Well anything at all you can tell me different looking from the original, will be the best clue we have at this point. There might be other overlooked details like a number stamped into the back label. A revision should have some indicator the manufacturer used to separate them. Otherwise there's greater chance they sent bugged carts back to people who exchanged. Thank you. Knowing about -1 changes the whole story. From a question of existence, to no longer unique, within hours.